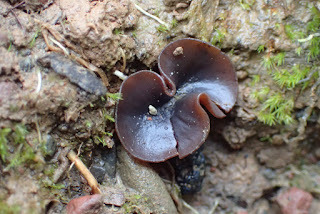 Carmarthenshire Fungi: Small brown Asco?? Philip, I wonder if you would have any idea what this small brown cup fungus might be. Stephanie found it on Saturday at Pont Felin Gat. It measured about 8mm across and seemed to have a bit of a thread as a root. It was on recently cleared ground at the top where the beech trees have been cleared, but there was no sign of burnt ground. A nice find--whatever it is. With the asus tip going blue in iodine it is one of the Peziza. It looks like P.saniosa. Dennis says = disc very dark blue grey, 10-15mm. 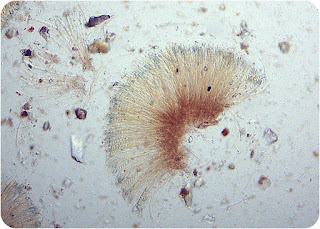 Asci 250x 13 and spores 14-16 x 7-9, coarsly warted. On ground in woods. The colour is good and spores look as if 'warted'. Measurements do not fit exactly but could be as not many Peziza this size. I thought I had this from Pembrey many years ago and sent to K -- answer was 'sample contained dried maggots' -- I had not dried it properly and sent over a Bank/hol w/e so postal delay! Thanks for the info Philip. You can always rely on Stephanie to find obscure things. 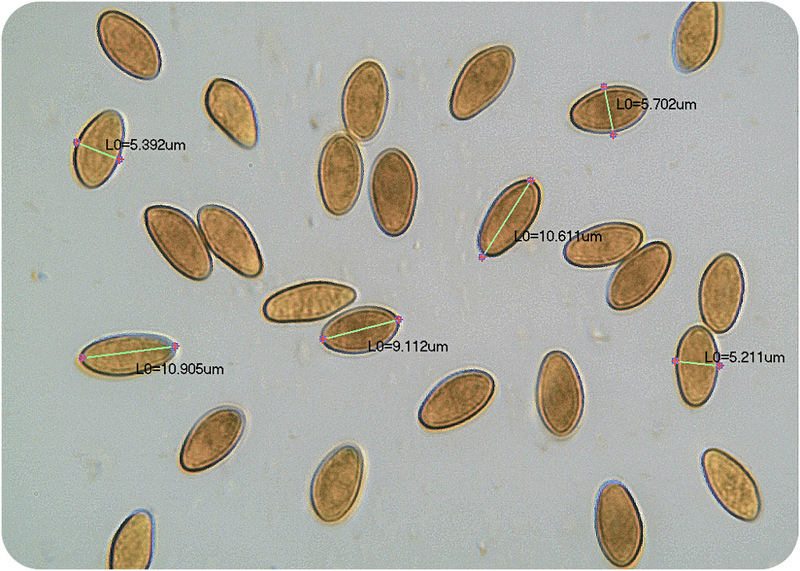 The trouble is that the spores are only half the size of p. badia spores.